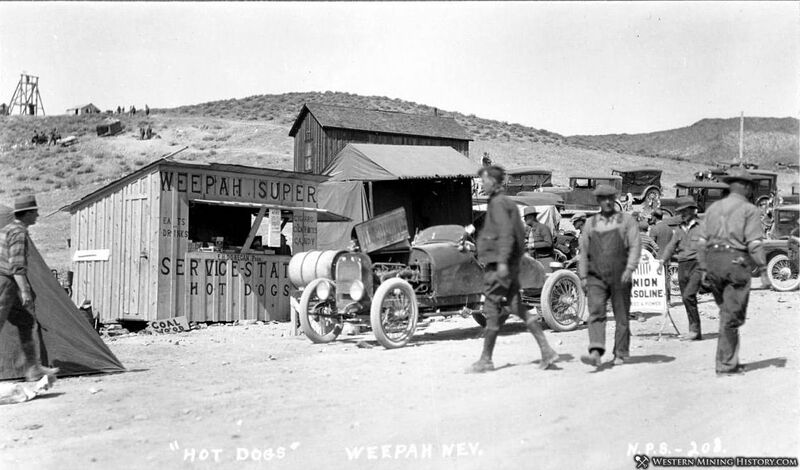 Weepah, Nevada is known as "the last gold rush" in the West. 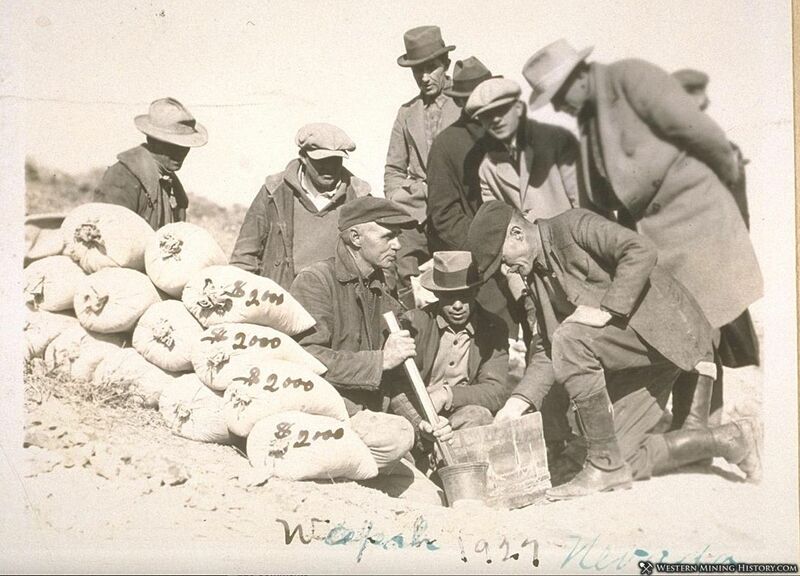 Gold was discovered at Weepah in 1927, almost two decades after most of the major gold districts had been located. The initial discovery was of a nugget that assayed at thousands of dollars per ton, which caused quite a stir and resulted in hundreds of men setting out for Weepah in search of gold. 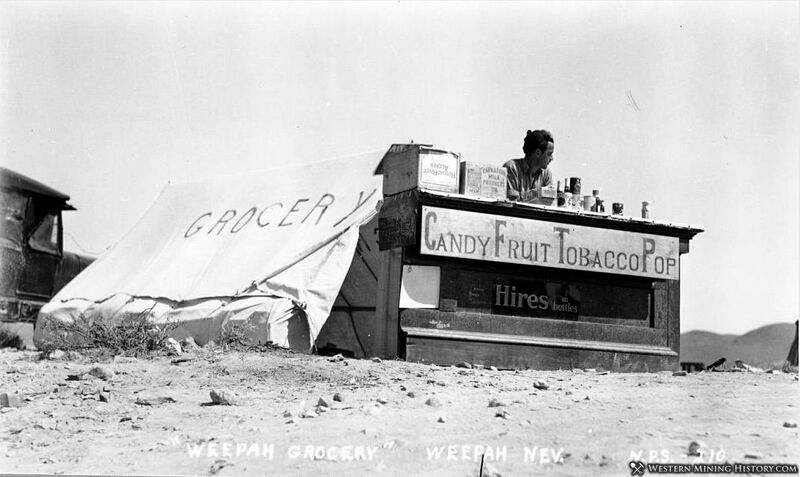 Soon Weepah would be the site of a tent city with thousands of frenzied gold seekers. The deposit at Weepah turned out to be mostly low-grade. By 1934 the Weepah Mining Company had invested in equipment to start the first open-pit gold mine in Nevada. Water had to be transported by pipeline from over seven miles away. 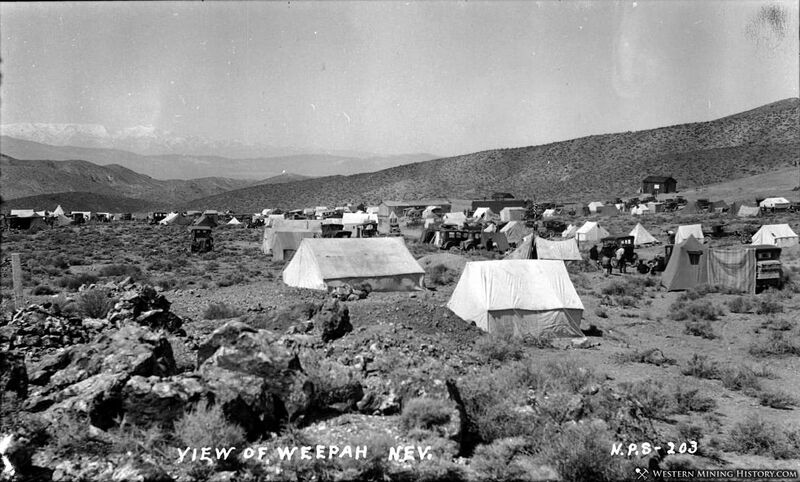 Weepah was briefly the largest gold producer in Nevada, but by the late 1930's the mine was only being operated intermittently. 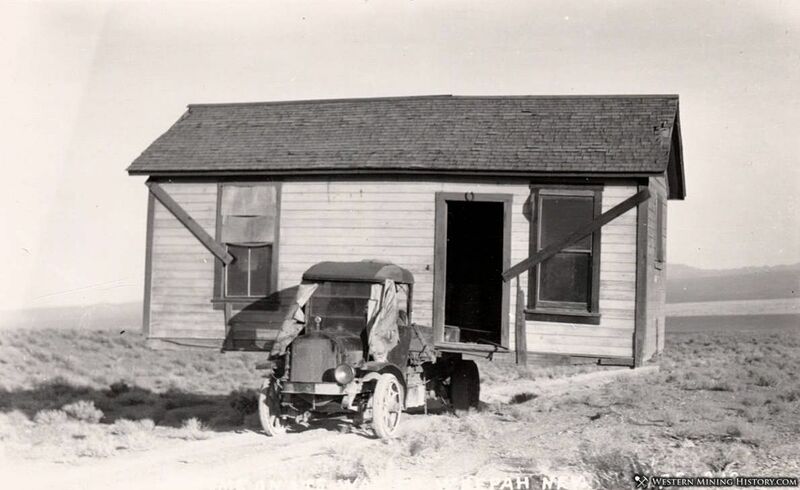 The town slipped into obscurity, and eventually became another Nevada ghost town. Once more Nevada is In the grip of a gold rush. Whether it will produce the glamor and the treasure of old California, the Comstock, or the Klondike remains to be seen. It got off to a whooping start and is gathering momentum every hour. One flank of it has lashed against Tonopah, filling the street with automobiles of every make, streaked with alkali dust. A mixed breed of men mill through the hotel lobbies: hurrying clerks in white collars, big hatted and booted prospectors with square jaws, the slim, trim gentry of the gaming table, camp followers, both men and women, smirking, over-ornate, bland, are there too, in force. The Malapi, as the Indians call the Badlands of the lower Nevada desert, is roaring again, with the rush of man, mule, truck and car apexing toward the staked lands of Weepah. Forty miles away, where Frank Horton, who lost a fortune as a low grade ore man at Goldfield, and won it back again, has come upon some dirt that assays thousands of dollars to the ton. His son, a bronzed desert prospector despite his youth, made the find. He kept his own counsel, but the news leaked out somehow and the rush was on. The Malapi has been the setting for some hectic gold rushes, but the Weepah boom bids for the greatest of them all. Horton, overnight, finds himself famous. Before setting out from his hotel here today for his claim at Weepah. Horton displayed hundreds of telegrams, all of them asking for some sort of a concession on the Weepah claims, and many offering large sums of money.